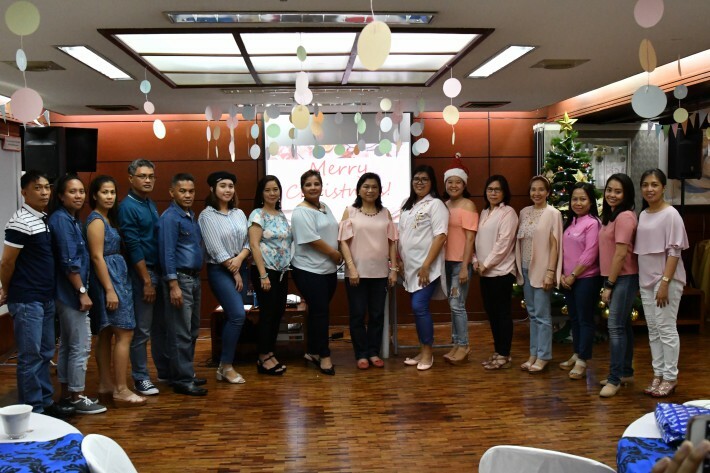 PJFF, NCF, & PIJLC celebrated their joint Christmas Party on December 22, 2017 at their head office in Arnaiz Avenue, Makati City. 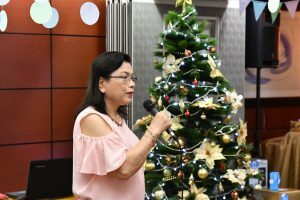 Officers, staff, and faculty members together with their families attended the holiday get together, which started around 11 a.m. with warm Christmas greetings from PJFF Treasurer, Mrs. Ma. Elena Loinaz. NCF Administrative Assistant, Ms. Donjie Reyes, and NCF teacher, Vianca Ramirez-Sensei handled several fun and engaging team-building games before the Christmas lunch and another set of games and raffles in the afternoon. Prizes for the Christmas raffle included home appliances and grocery packs sponsored by business partners and friends of the organizations. 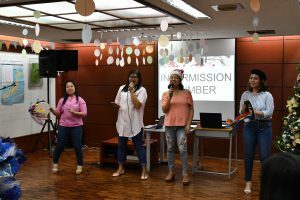 Newly hired staff of NCF and teacher trainees also sang Christmas songs as part of their intermission performances before proceeding with the exchange gift portion of the party. A photo session for all attendees was also done towards the end of the afternoon affair. Deferentially addressed as “Governor” – he was Provincial Governor of Batangas from 1980 to 1988 – Jose “Joey” C. Laurel V is also an accomplished business executive and acclaimed civic leader, with extensive involvement in Japanese affairs and relations. On September 16, 2016 President Rodrigo R. Duterte appointed Governor “Joey” to be the Philippines’ Ambassador to Japan, then asked him, as Ambassador-designate, to be part of the Presidential Delegation when he made his first State Visit to Japan on October 25-27, 2106. Then, on December 7, 2016, the bi-cameral Commission on Appointments speedily and unanimously confirmed his appointment and on April 5, 2017, he officially began his tenure as Philippine Ambassador-designate to Japan. On June 9, 2017, H.E. 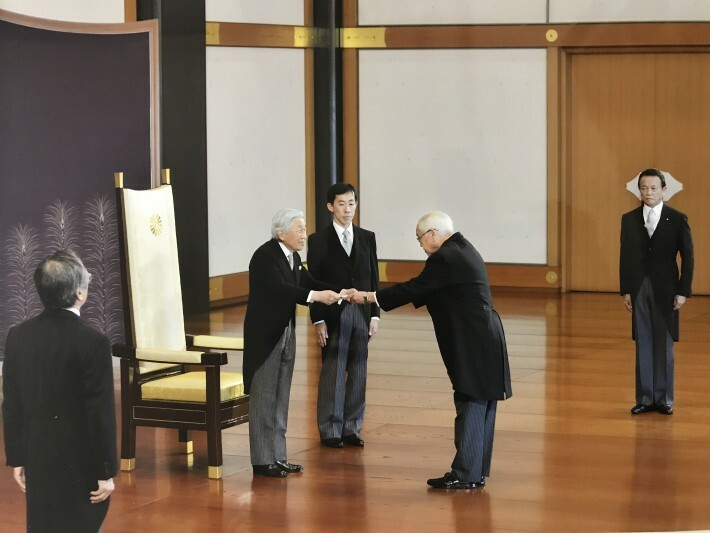 Jose C. Laurel V presented his credentials as the Philippine Ambassador to Japan to His Majesty Emperor Akihito, in formal rites held at the Imperial Palace in Tokyo. The official photo of Ambassador Laurel V presenting his credentials to the Emperor is a poignant image of a life journey destined towards a pivotal role in Philippines-Japan relations. It marks a new milestone in the generations-long association of the Laurel Family with Japan. The new Ambassador first set foot in Japan as a toddler when the Laurel family was exiled to Nara as Japanese forces were retreating from the Philippines. A grandson of Jose P. Laurel, President of the Second Philippine Republic (1943-1945), he and his elder brother Tony had to be brought to Japan by their parents, Jose III and Beatriz (Betty) with the rest of the Laurel family as innocent exiles. Joey was not even 2-years old. Some twenty years thereafter, in 1965, his father was designated Philippine Ambassador to Japan who served until 1971. Ambassador Jose S. Laurel III, the quintessential Filipino diplomat to Japan, lived an extraordinary life deeply immersed in Japan and its people: he was the only Filipino and one of just a few foreigners to graduate from the elite Japanese Imperial Military Academy (陸軍士官学校) in 1937; a Filipino patriot who served before, during and after the war with his own life; Ambassador Extraordinary and Plenipotentiary of the Philippines to Japan; founder and principal architect of the Philippines-Japan Society and its network of organizations dedicated to the promotion of peace, friendship and cooperation between the Philippines and Japan. It was therefore natural for the children of Ambassador Laurel III to gravitate towards Philippines-Japan affairs, themselves becoming active advocates of the principles and aspirations of their father. Following the footsteps of his illustrious father as Philippine Ambassador to Japan, the first son called to serve in the same post as his father, Ambassador Joey Laurel is not only eminently qualified and extensively connected in Japanese business and official circles, perhaps most importantly, he is now a lead bearer of his forebears’ unsullied reputation and, especially that of his father, Jose III, in Japan. On his own, Ambassador Laurel V has gained prominence in the country’s business and civic circles. 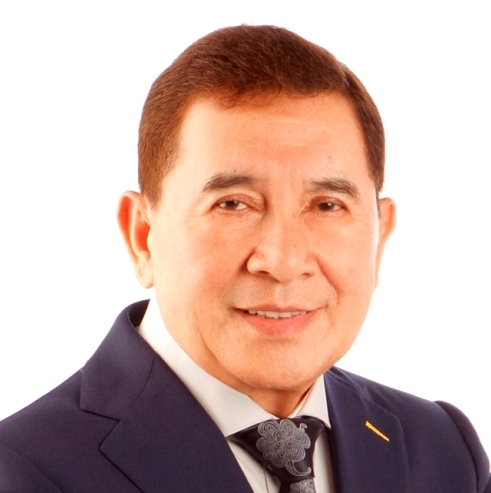 He has held top management positions in many large companies, including among others, Toyota Batangas City, Inc., YKK Philippines, Transworld Trading Co., Inc., Philippine Petrochemical Products, Asian Chemical Corporation, and the Lyceum Press. 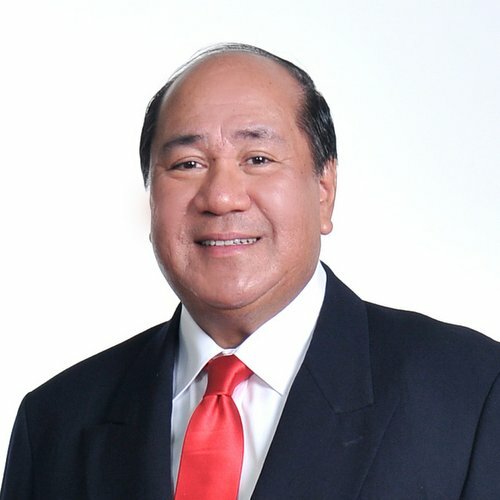 Besides his Chairmanship of the Philippines-Japan Friendship Foundation, he is an Adviser to the Philippines-Japan Society, Trustee of the Philippine Institute of Japanese Language & Culture and the Nihongo Center Foundation, former Chairman of the Philippine Red Cross (Batangas Chapter), and was a member of the Rotary Club and Lions Club of Batangas, Knights of Rizal and Manila Jaycees Senate. 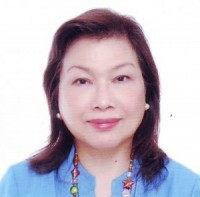 Ambassador Laurel V obtained two degrees from the De La Salle University, Bachelor of Science in Business Administration (Salutatorian) and Bachelor of Arts in Social Studies. He completed is Masters in Business Administration also at the De La Salle University and is a Master of Graphic Arts under the Dai Nippon Printing Group, Tokyo, Japan. As Philippines-Japan relations chart an even closer, friendlier strategic partnership in all aspects of geopolitics, trade, investments, security, culture and arts, people-to-people exchange, Ambassador Jose “Joey” C. Laurel V – along with the professional corps comprising the Philippine Embassy in Tokyo – faces the enormous challenge of serving as the country’s top diplomat in Japan, and lead bilateral efforts in bringing the two countries’ durable relations to the next higher level. Since its establishment in June 1996, the Japan Foundation Manila Office (JFMO) has remained true to its mandate of fostering friendship and promoting stronger cultural ties between Japan and the Philippines. This year, JFMO marks its 20th anniversary, which fortuitously coincides with the 60 years of Philippines-Japan Friendship. 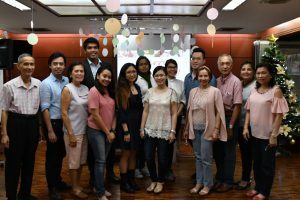 And so, there had been major gatherings and special events since June 18 when the foundation formally celebrated its 20 years in the country. But perhaps, among all the grand activities and painstakingly planned events and programs surrounding JFMO’s 20th Year celebration, the most insightful and inspiring would be its collection of essays written by colleagues, students, and friends of the foundation and published on its newsletter, Suki. In its October Issue, Suki featured the story of Amb. Benjamin F. Sanvictores, Executive Trustee of The Philippines-Japan Friendship Foundation. Reflective and lyrical, Amb. Sanvictores’ essay recalls his personal experience as an impetuous 15-year-old who joins a select group of young Filipino students bound for Japan during the height of World War II. He narrates, through his rich store of anecdotes, how his seemingly dangerous decision to live in the land of the “enemy” turned out to be a destined journey that gave him the privilege to work towards developing and maintaining the friendly Philippines-Japan relations that peoples of the two countries enjoy today. Article and photos courtesy of Suki and The Japan Foundation Manila Office. 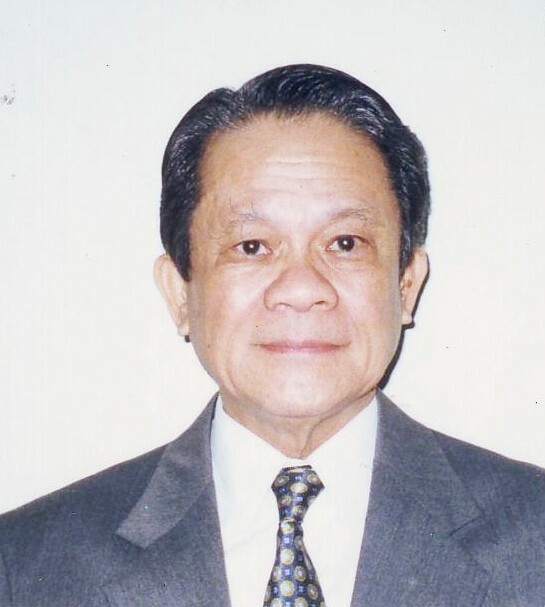 The Philippines-Japan Society and the Philippines-Japan Friendship Foundation announced today the passing of one of its founders, Dr. Victor A. Lim. 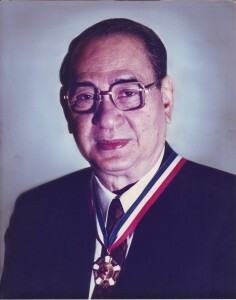 Mr. Lim served as the Philippine High Commissioner to the 1970 World Expo World’s Fair held in Osaka, Japan. He thus worked closely with Amb. Jose S. Laurel III, who was the Philippine ambassador to Japan then, and when the Philippines-Japan Society was established in 1971, Mr. Lim was one of its incorporators, eventually becoming its President from 1985 to 1992. He was one of the founding Trustees of the Philippines-Japan Friendship Foundation, a position he held until his demise. He was also a finding Trustee of both the Philippine Institute of Japanese Language & Culture Foundation, Inc. and the Nihongo Center Foundation Inc..
Dr. Lim was Chairman of the Philippines-Japan Economic Cooperation Committee (PHILJEC) in 1991 to 1993 and served as Chairman/co-Chairman of the Joint Meetings of those years. Mr. Kazuo Haruna, Chairman of Marubeni Corporation and Mr. Hisamitsu Uetani, former Chairman of Yamaichi Securities served as Dr. Lim’s counterparts from the Japan-Philippines Economic Cooperation Committee (JPECC). 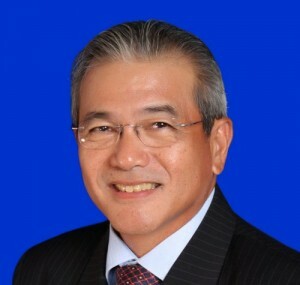 Dr. Lim held top management positions in various large corporations. 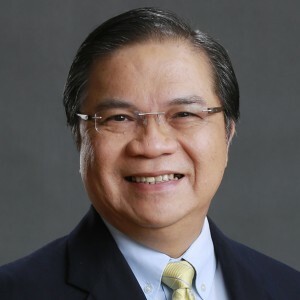 He was also a founding faculty member of the Asian Institute of Management – Faculty of Master in Management – where he pioneered the “case method” in the Philippines. 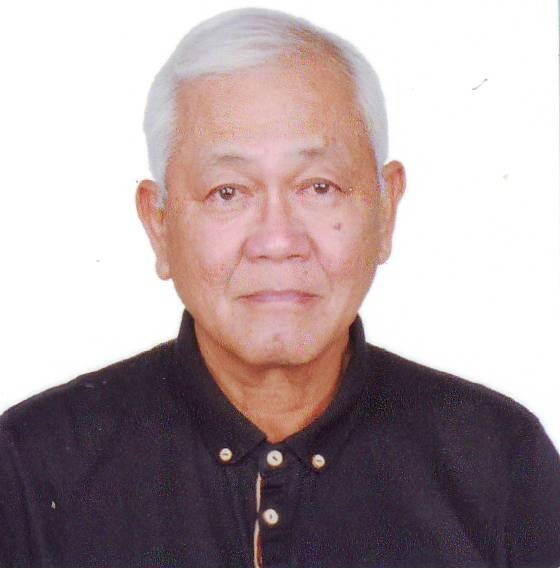 He was also a President of the Philippine Chamber of Commerce and Industry, the Management Association of the Philippines and the Philippine Society of Mechanical Engineers. He served as Chairman of the Bases Conversion Development Authority from 1993 to 1996. Dr. Lim is a recipient of the Third Order of the Sacred Treasure granted by the Emperor of Japan. Mr. Lim is survived by his wife, Eloisa and his 8 children and grandchildren. He was 90 years old.